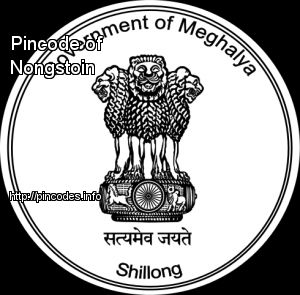 Nongstoin (IPA: ˈnɒŋˌstɔɪn) is the headquarters of West Khasi Hills district in the state of Meghalaya in India. The Langshiang Falls is located 24 kilometres (15�mi) from Nongstoin. As of 2001 India census, Nongstoin had a population of 22,003. Males constitute 50% of the population and females 50%. Nongstoin has an average literacy rate of 67%, higher than the national average of 59.5%: male literacy is 67%, and female literacy is 66%. In Nongstoin, 23% of the population is under 6 years of age. The bypoll results to two Assembly seats in Meghalaya – South-Tura seat in West Garo Hills District and Ranikor in South West Khasi Hills District – will be declared on August 27, Monday.